Our fully guided pack trips are the perfect way for families or small groups to experience the raw beauty of the wilderness while being taken care of by our wonderful guide staff. Enjoy the authentic rugged beauty of the Sawtooth Mountain range with all the work being handled by our friendly and capable guides. Our guided pack trips include delicious meals, quality fishing opportunities, majestic views and gentle mountain horses to ride. These trips are completely tailored to each group and are specialized to focus on guest’s special interests. 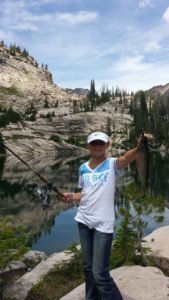 Our camp sites are located at pristine alpine lakes where you can fish, relax, hike or horseback ride every day. These trips include riding horses, pack stock, meals, tents and guides. Destinations depend on the mileage that each group would like to ride and what the primary focus of each trip is. Our popular lake destinations are Toxaway, Imogene and Edna Lake. Please give us a call to discuss the best possible destinations for guided fly fishing trips, families or experienced horse riding groups. Don’t have four people? Don’t worry! Give us a call, we might be able to combine groups! Reservations require 40% deposit and balance due 45 days prior to trip. Our spot pack trips are perfect for the avid backpacker that would like to cover country without being weighed down by heavy equipment. Our experienced guides will pack your gear into the wilderness to a prearranged destination. 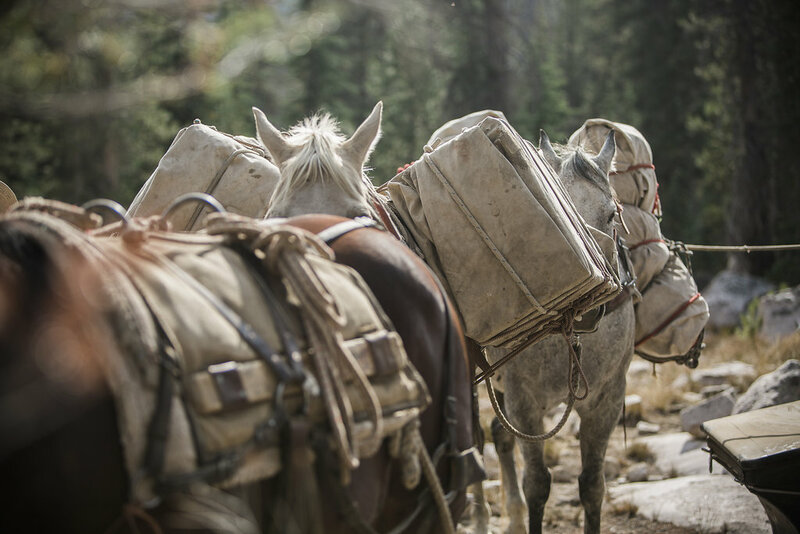 You can ride horseback into the heart of the wilderness or hike in to meet your gear at the lake of your choice. Spot packs can be easily tailored to fit your hiking needs, whether you want us to supply food and kitchen equipment for you during your trip or if you want to simply be dropped off, we can help make your wilderness experience hassle free. OPTIONAL: $79.00 per person per day for food and kitchen. Our hiking with pack stock trips are fully guided and perfect for backpackers that want to spend less time in camp and more time on the trail. Our guides will take care of setting up camp, cooking, cleaning and packing gear so that you can enjoy hiking through the scenic and rugged wilderness country without the weight or worry. 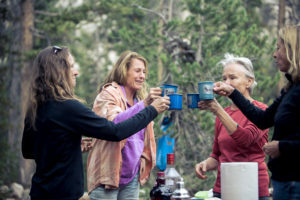 This type of trip is perfect if you are looking to move camp during your outdoor excursion. 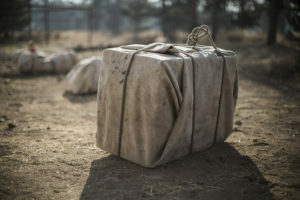 This option includes tents, kitchen, meals and pack stock. Whether you are a serious angler or you are just getting your feet wet, we can help customize an unforgettable fishing trip for you. Our guides are avid fishermen who enjoy sharing their knowledge of the lakes, fish and flies with our guests. We have numerous different options for fishing and will help you determine the best location based on what type of fishing you would like to do, what time of the season you can go and what your fishing experience is. 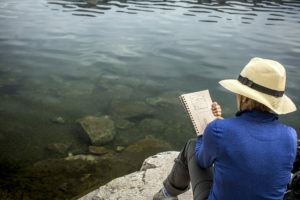 Our high alpine lake trips are remarkable! You can catch rainbow, cutthroat, brook and even cutbow trout in these lakes. Our guides will clean, dress and serve your catch to you as an addition to your trip menu. 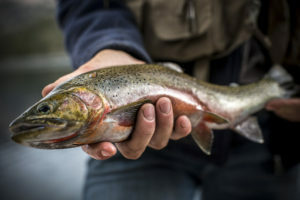 We also offer guided fishing trips into the Frank Church Wilderness where you can fly fish for native cutthroat trout on the renown Middle Fork of the Salmon River. Trip deposits of 40% are due upon booking. The remaining trip balance will be due 45 days prior to trip and will be non-refundable. Trip cancellations due to weather or personal conflict are non-refundable but may be credited to the following year at company’s discretion. All clients have the option to purchase vacationers insurance. Children must be 6 years old to ride. Due to safety, we do not allow double riding. 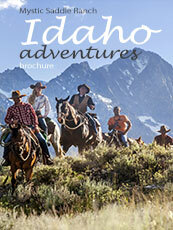 Enjoy a taste of Idaho’s premier wildernesses with one of our adventures. © 2019 Mystic Saddle Ranch. All rights reserved.